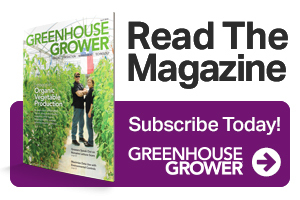 Each new greenhouse season, Michigan State University (MSU) Extension educators and specialists hear of ethylene and carbon monoxide problems in greenhouses somewhere in the Midwest. It’s important to understand the symptoms of ethylene damage on plants and the human symptoms of carbon monoxide poisoning, both due to faulty greenhouse heating symptoms. Floriculture and vegetable crops grown in greenhouses that use natural gas or propane-fueled heaters can be susceptible to ethylene injury. Ethylene (C2H4) is an odorless, colorless gas that acts as a plant hormone. Plants are prone to ethylene injury at levels from 0.01 to 1 ppm or more. No other air pollutant causes a greater range of symptoms than ethylene gas. Symptoms range from shedding or shattering of flower petals, misshapen or malformed leaves and flowers, thickened stems, leaf yellowing or chlorosis, stunted plant growth, flower bud and leaf abortion, to epinasty or twisting. The effects on greenhouse crops will vary with the plant species and growth stage, temperature, length of exposure, and the concentration of the ethylene. 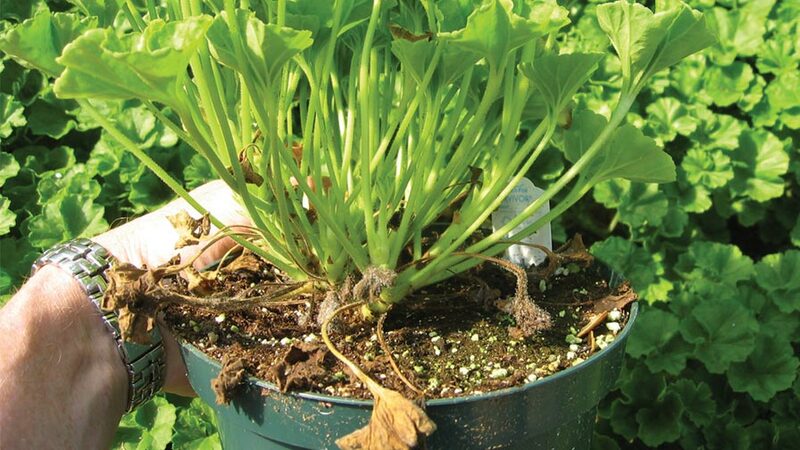 Plant injury symptoms may occur more often in plastic greenhouses compared to glass greenhouses due to the airtight nature of poly-greenhouses. A great indicator plant to use for the presence of ethylene is a tomato plant. They are highly sensitive and will twist or wilt when exposed to ethylene. Tomatoes will exhibit injury within 24 hours if ethylene is present. Thus, many growers will put a young potted tomato transplant into every new growing area they open up each season to test for low levels of the damaging gas. To avoid ethylene injury, greenhouse heaters need proper ventilation and intake of fresh air from the outside. One square-inch of vent cross section of outside air for every 2,500 British Thermal Units (BTUs) of heater output is recommended. Consider using a laundry dryer vent hose as a fresh air intake. So, if you have a 125,000 BTU heater, you would need an 8-inch diameter fresh air inlet pipe that would give you the 50 square inches you need. The newest high-efficiency heaters have fresh air intake systems as part of the installation kit. Also, greenhouse heaters need to be maintained so the heater itself is running properly and the distribution tube, vent stack, ventilation louvers, and fuel line are all functioning correctly. If you suspect ethylene injury is occurring, contact your local Extension agent. They should be able to look at the crop and obtain air samples to verify if ethylene is the problem. Using gas chromatography, the air samples can be assessed for ethylene levels and other hydrocarbons such as methane and propane, which is helpful in discovery of leaks in gas supply lines and leaks in the heat exchangers. Also, call your furnace maintenance firm to inspect the unit in question. For more information on testing the air for ethylene, go to http://goo.gl/am7DUs. Most plants will recover from ethylene injury. However, plants that bloom once like lilies, tulips, and hyacinths will likely not bloom if they have been exposed to ethylene when they were in the flower bud stage. Remember, ethylene is an odorless, colorless gas that is a harmful pollutant to your greenhouse crops. Carbon monoxide (CO) can cause sudden illness and death. It is produced any time a fossil fuel is burned and can occur in levels that cause sickness to humans when greenhouse heating systems are malfunctioning. An early symptom of CO poisoning is headaches, but they can be accompanied by dizziness, weakness, upset stomach, vomiting, chest pain, and confusion as poisoning becomes more extreme. If you breathe in a lot of CO, it can make you pass out or kill you. The Centers for Disease Control and Prevention has some excellent information on carbon monoxide poisoning on its website, including fact sheets. There are also CO detectors that are available, often from local hardware stores, for just a few dollars. These detectors are small badges or tags that can be worn on your person or placed in the greenhouse environment.